Phew! 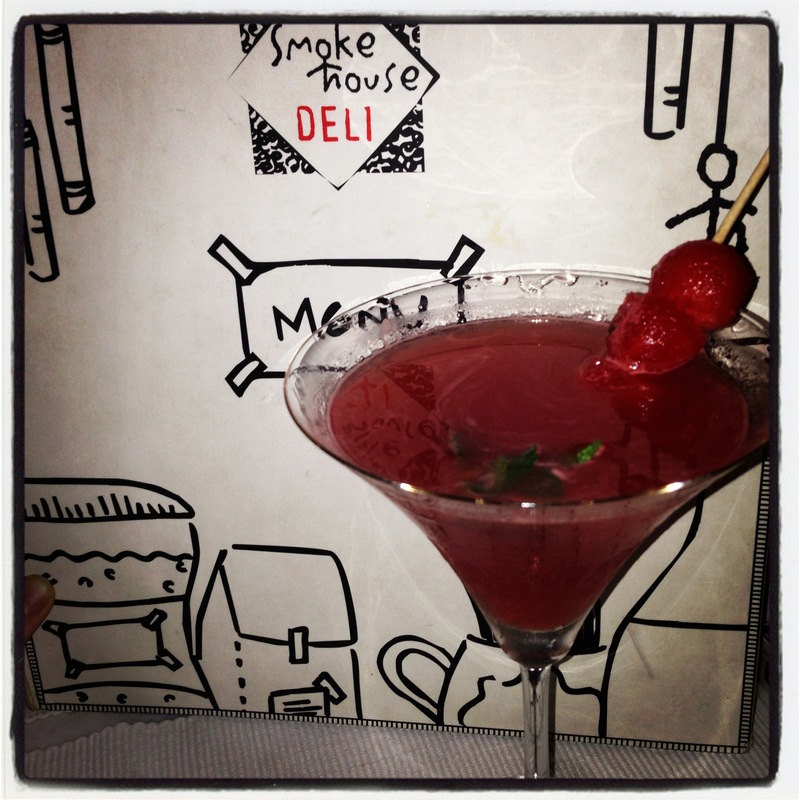 Needed a break after too many of these yummmyy Watermelon Martinis at Smoke House Deli, Khan Market! Fellows take your date here ASAP its fun and not intimidating yet really chic and the decor and graphics make for striking up lively conversation. Perfect for a first date! Food is served as small bites or easy to eat sandwiches and salads so you’re not getting down and dirty with your plate when you should be focusing on getting down and dirty with your date;-) Follow me on twitter @sashachhetri for instant real time updates on where and how to live your YMBLife!